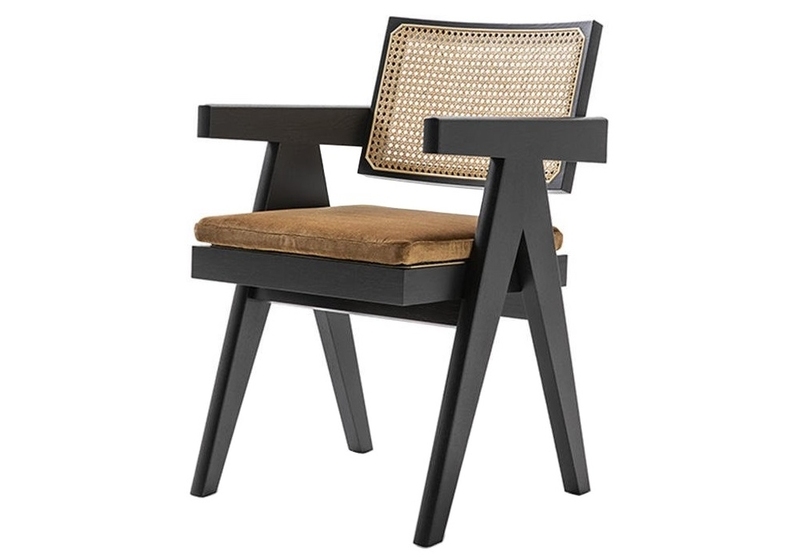 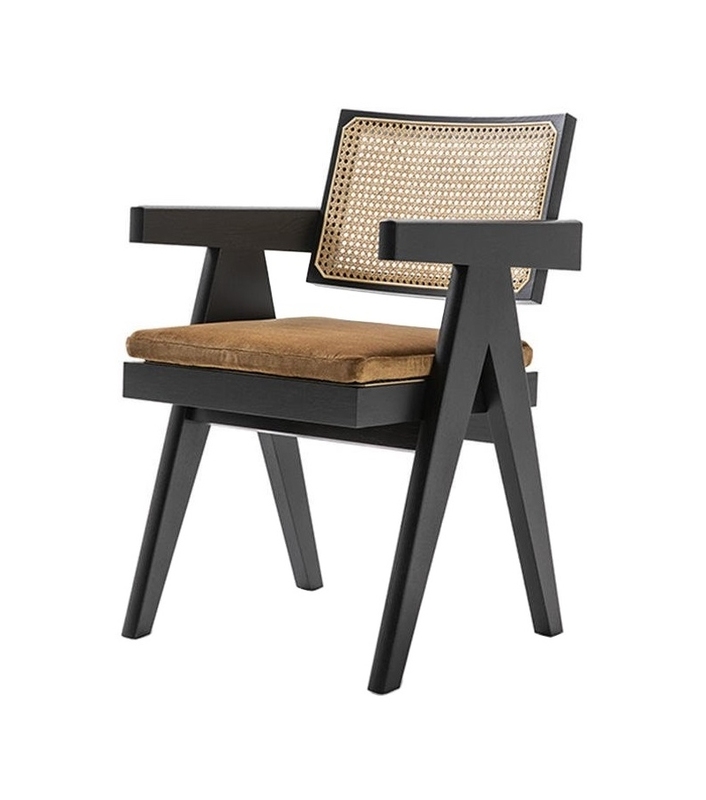 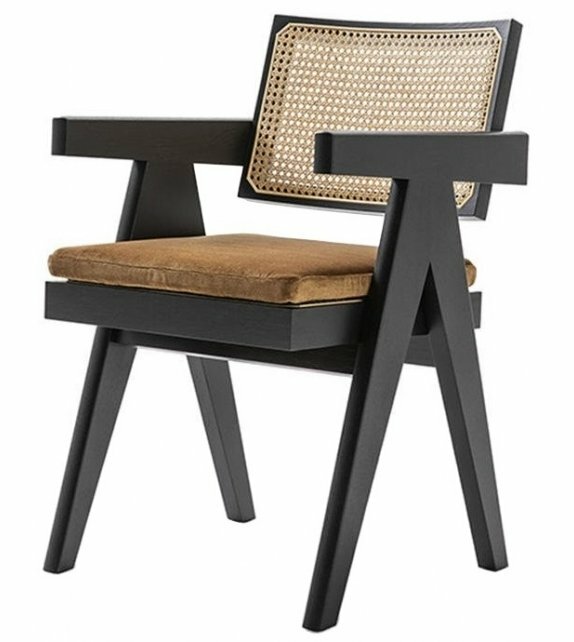 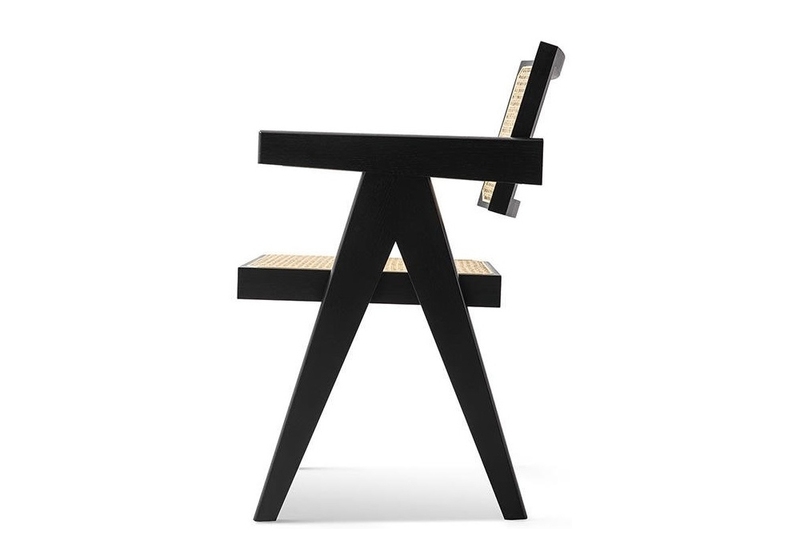 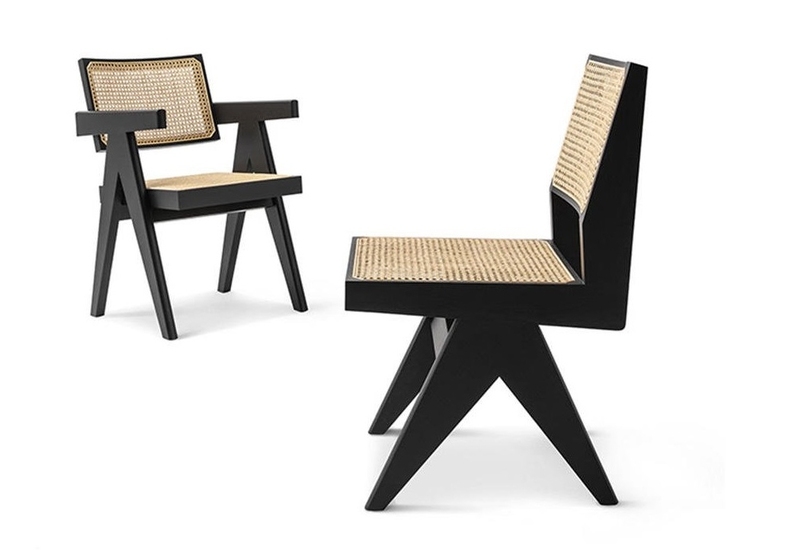 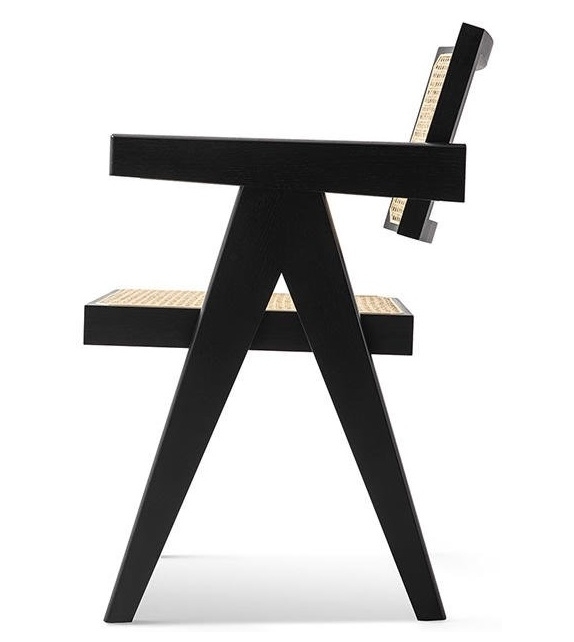 051 Capitol Complex Office Chair designed by Pierre Jeanneret for Cassina is a chair with armrest. 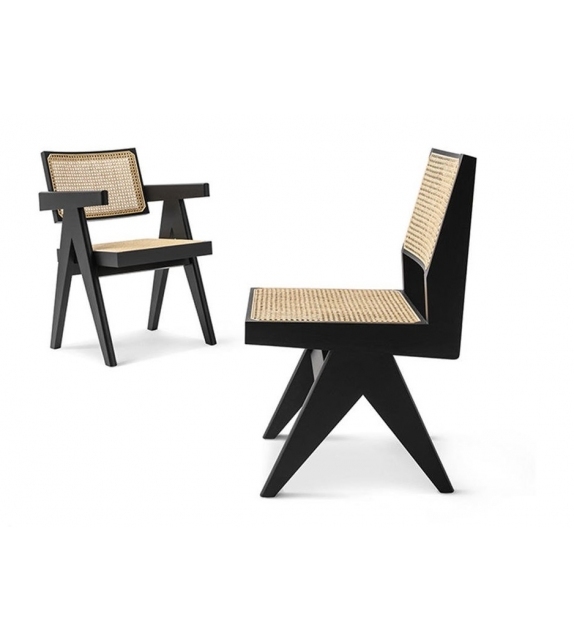 The back and seat are made of Vienna straw. 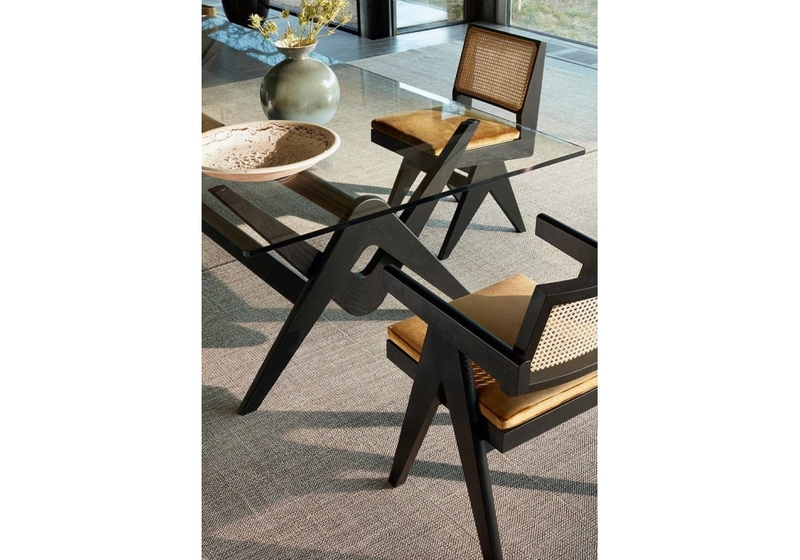 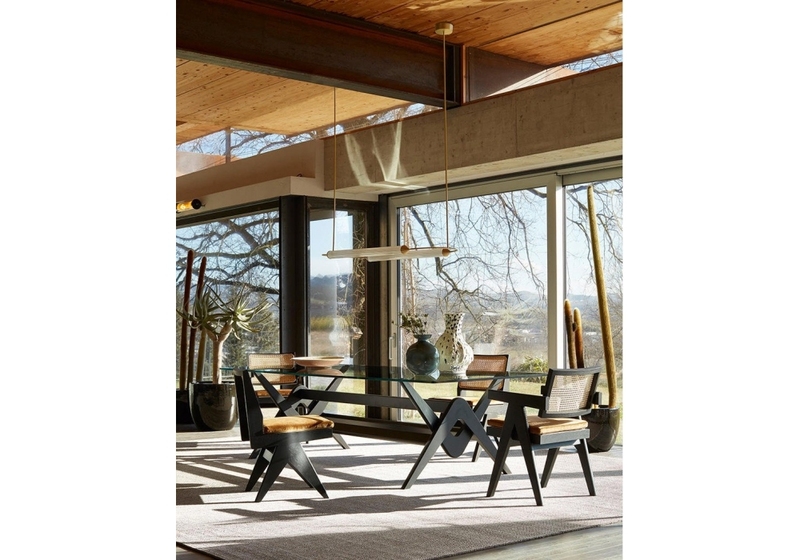 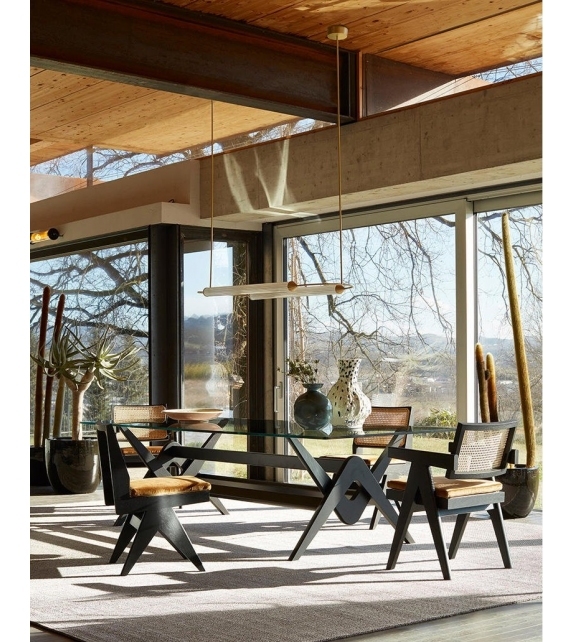 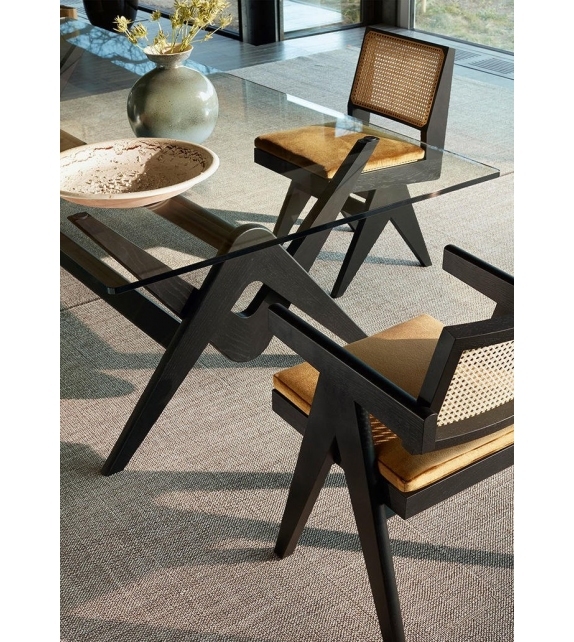 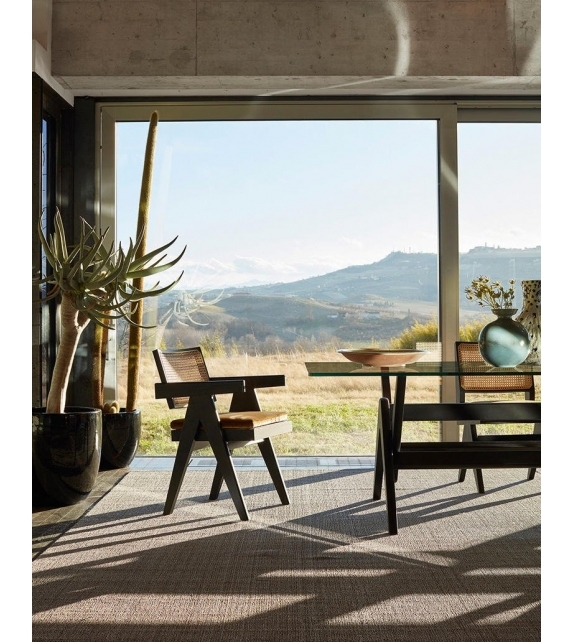 The thick solid wood frame is available in the following finishes: natural or stained black oak, teak.